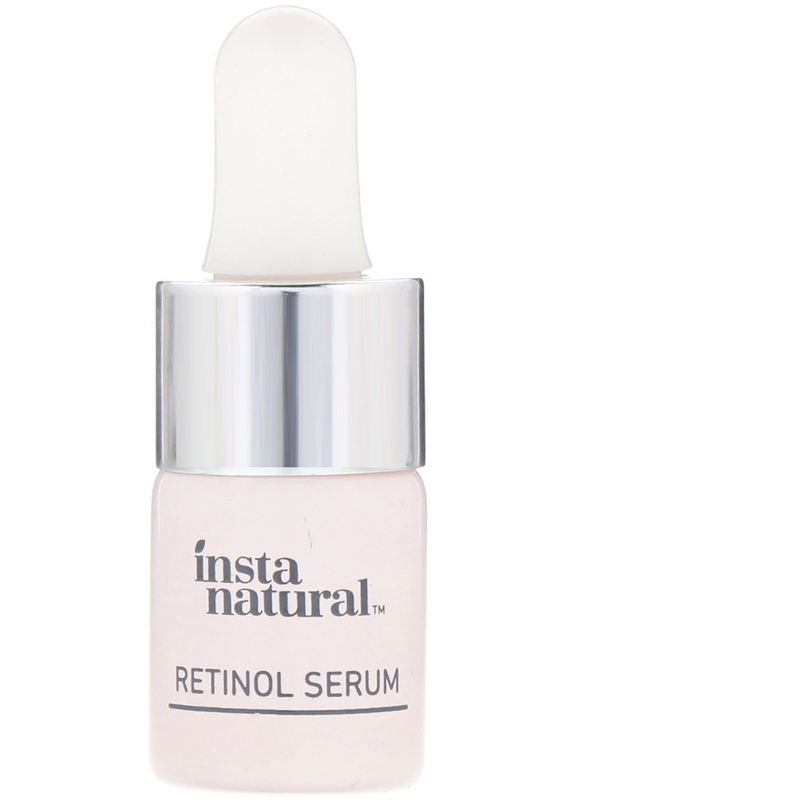 Our Retinol Serum contains a carefully formulated blend of ingredients to address the most common concerns of aging. 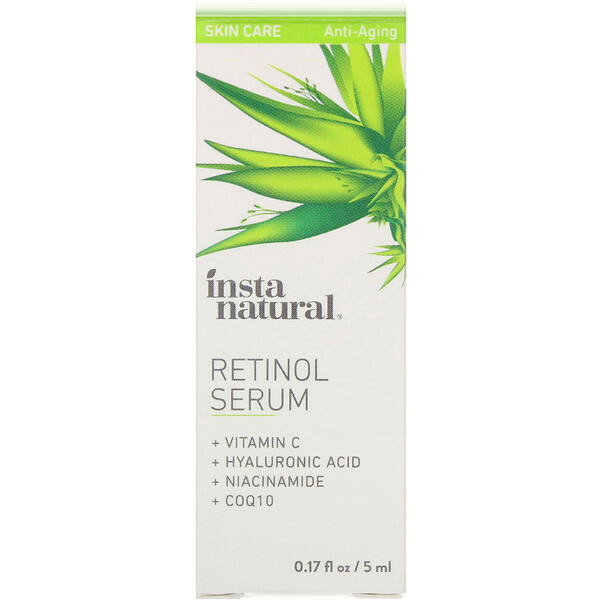 Retinol boosts the skin's natural renewal process, visibly reducing the appearance of lines, wrinkles and discoloration, while Vitamin C, Hyaluronic Acid and Niacinamide defend and nourish to add radiance, hydration add firmness to the skin. Massage a small amount onto cleansed and toned skin, allowing the serum to absorb completely. Follow with moisturizer. For best results, apply this product nightly. 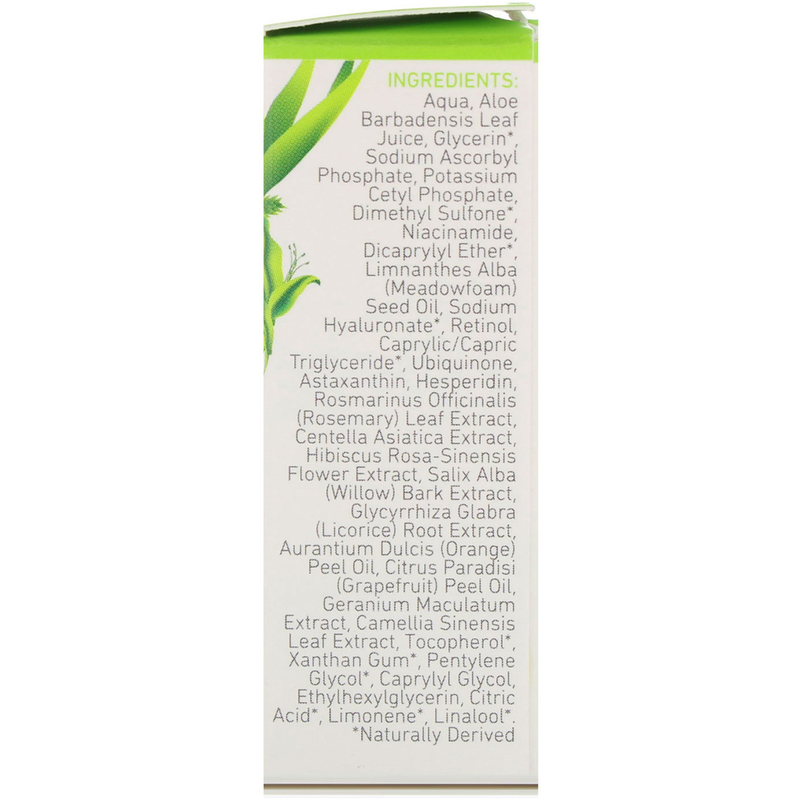 Aqua, aloe barbadensis leaf juice, glycerin*, sodium ascorbyl phosphate, potassium cetyl phosphate, dimethyl sulfone*, niacinamide, dicaprylyl ether*, limnanthes alba (meadowfoam) seed oil, sodium hyaluronate*, retinol, caprylic/capric triglyceride*, ubiquinone, astaxanthin, hesperidin, rosmarinus officinalis (rosemary) leaf extract, centella asiatica extract, hibiscus rose-sinensis flower extract, salix alba (willow) bark extract, glycyrrhiza glabra (licorice) root extract, aurantium dulcis (orange) peel oil, citrus paradisi (grapefruit) peel oil, geranium maculatum extract, camellia sinensis leaf extract, tocopherol*, xanthan gum*, pentylene glycol*, caprylyl glycol, ethylhexylglycerin, citric acid*, limonene*, linalool*.